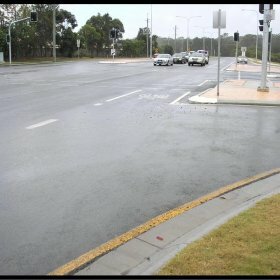 Lambert & Rehbein was commissioned to conduct a Stage 4: Pre Opening Road Safety Audit for the duplicated section of Hope Island Road that extends from the Pacific Motorway to the intersection with Gracemere Drive. The project involved the Road Safety Audit team undertaking detailed on-site investigations of the entire study area, whilst documenting any safety hazards identified. 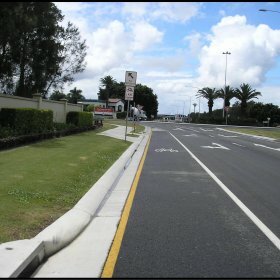 Key areas of focus included roadside objects within the clear zone, signs and line marking, intersection control, sight distance, speed environment, and pedestrian and cyclist facilities. 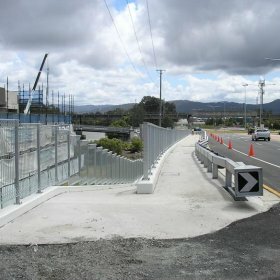 Like many major infrastructure projects driven by the Department of Transport and Main Roads, the Hope Island Road upgrade project provided an excellent opportunity for the Road Safety Audit team to undertake a detailed Safety Review of the use of extensive on-street bicycle lanes and adopted shared pedestrian and cyclists crossing facilities constructed at each major intersection.